2009 Women of the Earth & Yves Rocher Foundation Award. 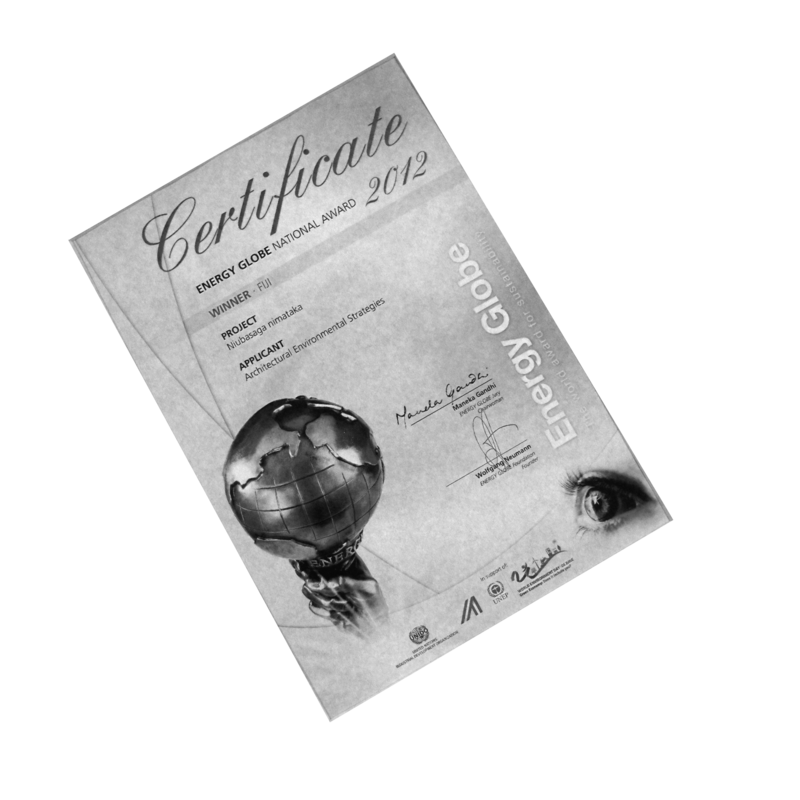 We were awarded first prize (5000€ ) for our remarkable work on Caqalai island. The project was recognized due to its involvement of the local community and the positive effects on the sensitive environment. The prize money enabled us to continue working with the communities on Moturiki island, and funded the 2nd project. To read more about the awards Women of the Earth, Yves Rocher Foundation. 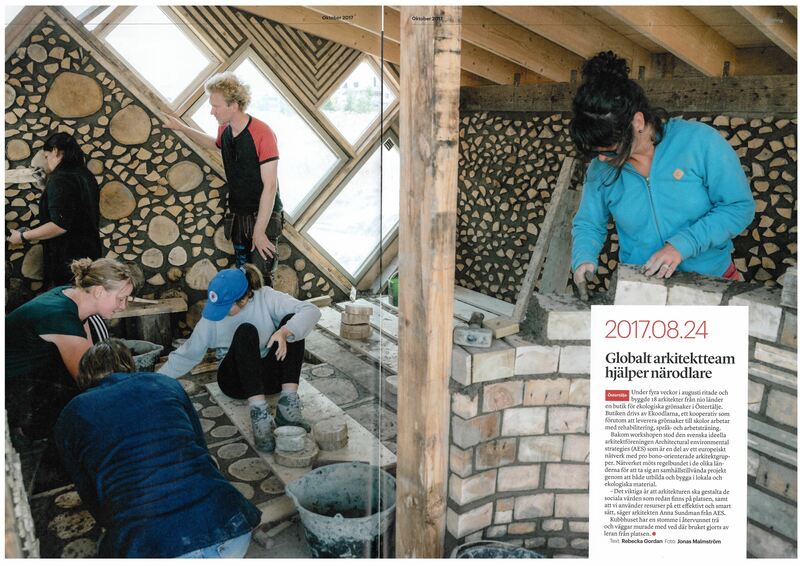 2017.08.24 Article in Arkitekten “Globalt arktiektteam hjälper närodlare”. 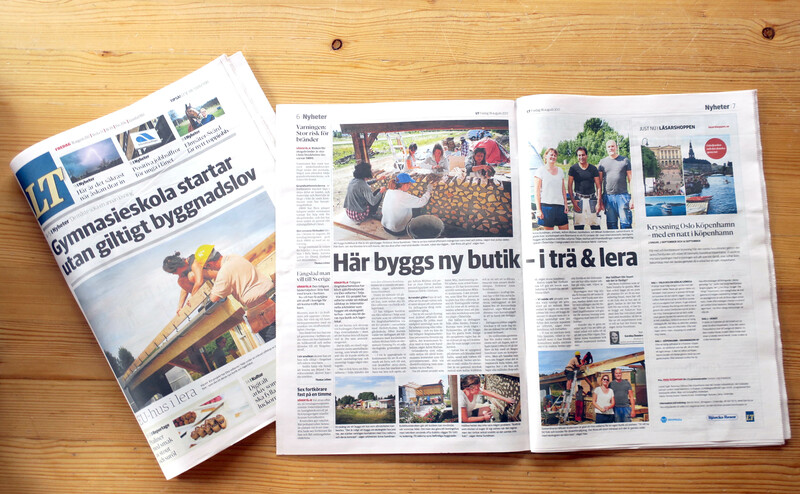 2013-2014 South of North network – Public presentations all through out the nordic countries in architectural venues. Seminar | NTNU, Trondheim, Norway. Presented project and methodology for the masters course Architectural Design, Form and Color for the seminar “Transformative Learning Space”. 2010 Environmental inspirer of the year. 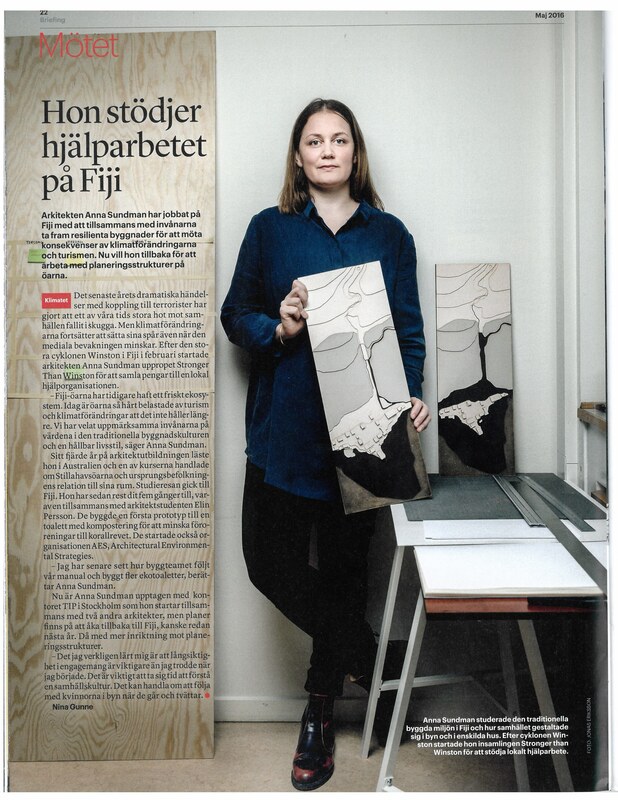 The magazine Leva gave the Award for ‘Environmental Inspirers of the Year’ to Anna Sundman & Elin Persson for their work on the project ‘Caqalai- A Vision of an Eco-Resort’. The different categories are posted on Leva’s website. 2010 Bula Fiji, Inselalltag in der Sudsee. Featured in the German documentary about Fiji today. link. 2010 Presentation of Caqalai project at Sofiero, Helsingborg. Architectural Environmental Strategies is a non-profit organization working within the field of architecture, planning and sustainable development. The projects we engage in range from interdisciplinary academic work through studies in the field to practical action.